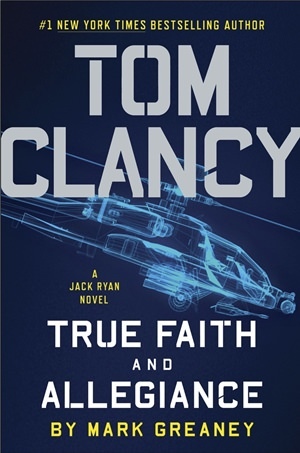 The latest novel featuring Jack Ryan, Tom Clancy’s iconic hero and now president of the United States, delivers all the elements that fans expect from the franchise. In Mark Greaney’s “Tom Clancy True Faith and Allegiance,” someone with inside knowledge and access to personal details of key military and government personnel has been selling that information to enemies of the United States. In a crowded New Jersey restaurant, U.S. Navy Commander Scott Hagen is on leave with his family when a man shows up and tries to kill him. The gunman is a Russian whose brother was onboard a submarine that Hagen destroyed when he was serving on the USS James Greer. Meanwhile, in Tehran’s airport, a Canadian businessman who has previously made a dozen visits is flagged as a CIA spy.